Lots of traders trade only out of the money options. 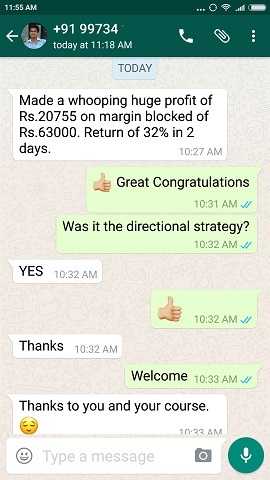 Read to know the reality of trading Out of The Money OTM options. 2. Those who trade only OTM (Out of The Money) options. Very few trade In The Money ITM options. Most traders start with At The Money options then move to Out of The Money Options to try their luck. Buyers when they lose become sellers and sellers when they lose become buyers. And most option traders start trading with Index options. 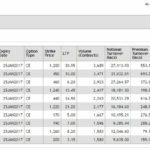 In India Nifty Options is the most traded options. 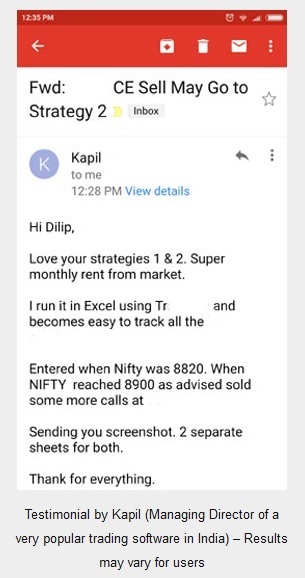 Therefore there is rarely low liquidity in Nifty Options trading. NSE spot price is 9,642.15 as on 01.01 pm, 06-June-2017. Today NSE is falling, so for most traders probability of success of selling Call Options is more than that of probability of success of selling Put Options. Tomorrow the story may change. To avoid taking chances traders try to sell very far Out Of The Money options, especially near expiry. This is more fun oriented than logic oriented. One plunge down on expiry day can even push far out of the money options into at the money options and it may take away years of profits of the far out of the money option sellers. Story is same with far out of the money option buyers. They get attracted by low premium and low risk options. On expiry day or a few days before expiry when option premiums are low, these traders buy very far out of the money options hoping the stock may take a drastic move and they can make a lot of money. Most of the times it does not happen and they end up losing money. When move actually comes they are either not trading that side, or they exit in a small profit. Buying low premiums out of the money options is like buying a lottery. At least if they win a lottery, they end up making a few lakhs or even crore, but in options trading maximum profit also has a limit. 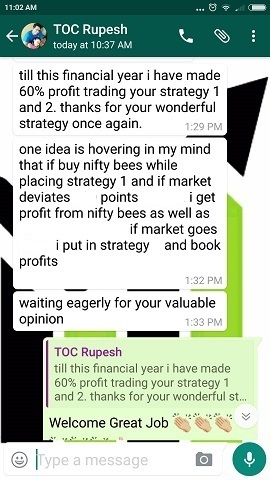 One trade cannot make lakhs of profits. Unfortunately by the time a trader understands it’s too late. Once they realize they are doing a mistake they look for tips – again a huge mistake and they lose more. Then they start looking to educate themselves or do a course. Some of my clients have been though the above hell then did my course. Educated yourself before trading options and getting into the game of speculative trading or playing the game of probability. 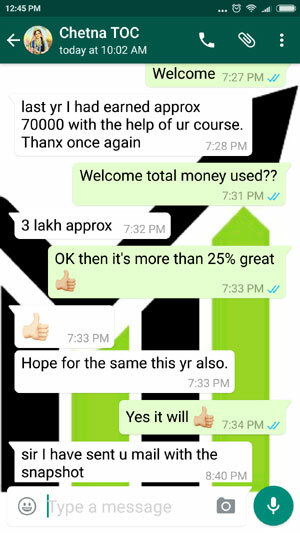 sir , thanks for assuring to teach about basics of options , ur are always motivating , thanks.